Jonathan’s new book, Sacred Music in Secular Society (Ashgate, 2014) draws upon his experience as a professional musician and as a priest, to provide a new and challenging work asking why Christian sacred music is now appealing afresh to a wide and varied audience, both religious and secular. Blending scholarship, theological reflection and interviews with some of the greatest musicians and spiritual leaders of our day, the work suggests that the intrinsically theological and spiritual nature of sacred music remains an immense attraction particularly in secular society. This book will appeal to readers interested in contemporary spirituality, Christianity, music, worship, faith and society, whether believers or not, including theologians, musicians and sociologists. 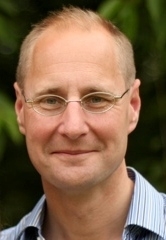 Jonathan Arnold, Chaplain and Senior Research Fellow at Worcester College was made a Fellow of the Royal Historical Society in 2009, and has been increasingly involved in the academic life of Oxford University as a tutor, supervisor, lecturer and examiner. In 2013, he devised and led a major inter-collegiate week of events exploring Christianity through the Arts and, in 2014, convenes a new seminar series in Oxford, entitled ‘Music and Theology’. Of his publications, The Great Humanists (Tauris, 2011) explored some of the finest intellects of late-renaissance Europe, including priests, theologians and philosophers, collectively now known as humanists.